Following a year after the debut of the Wii U, Microsoft is planning to release the next generation of its Xbox console at the start of the 2013 holiday season. It was also revealed that Microsoft is undecided whether to unveil the new Xbox at E3 in June or have a special event devoted purely to the new console. Bloomberg news sources declined to be identified due to the confidential nature of the Xbox release roadmap. The current Xbox 360 recently surpassed sales expectations, selling 750,000 over US Thanksgiving week (Black Friday). This figure is almost twice the number that the fledgling Wii U sold in the US in the same time period (400,000). If things continue this way over Christmas and not just in the US market then it’s no surprise that Microsoft will wait until the same time next year to be ready for and take advantage of the Thanksgiving and Xmas spending sprees. Bloomberg also says that while the Xbox 360 has been a relatively strong performer so far this holiday season the year-on-year console gaming market spend remains in decline. Compared to a year earlier October’s software, hardware and accessories spend in the US is down by a quarter. Microsoft has had 22 months at the top of the US console sales chart but monthly sales have also still followed the industry downward trend. Since its launch in 2005 Microsoft has enhanced and repositioned the Xbox 360 console with tweaks to its construction, software, connectivity and storage options. The Kinect motion sensing control system accessory has been a hit and software updates have enhanced the Xbox’s usefulness as an online media consumption box, for which it is very popular. SmartGlass was revealed at E3 2012 which makes tablets and smartphones into interactive secondary screen devices; another useful and trendy interaction extension for the seven year old console. Microsoft hasn’t commented upon the leaked plans as yet. Nice, means developers should start working on test machines soon……so PC games should start getting better! I think they already are working on games for it - after all you don't need final hardware to do that and development times are longer than a year.. The devs for launch games will have kits and resources but with I suppose tight secrecy contracts, takes 2 years or so to complete a decent game AFAIK. Surprised they let this slip now rather than after Christmas… might spoil sales? 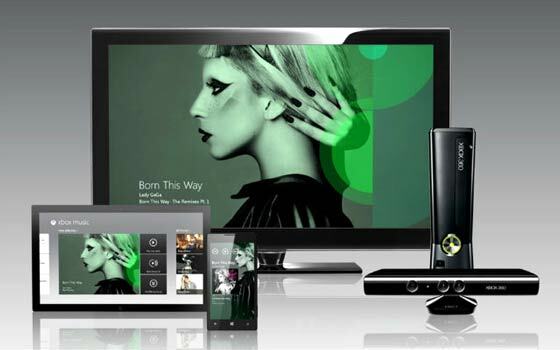 Perhaps they want to dissuade Wii-U and PS3 buyers, get them into the XBox ecosystem. I find it amazing such a cheap device has an 8 year life-cycle. It's almost unparalleled - looks how far phones, PCs, TVs, laptops (even washing machines) have come in that time.